The more you play with Space Buddy toy robot the more he can do. The smart toy has a language all his own, but will start to say more words and play more games after being "taught"
Watch him go through different stages of growing up. He will let you know when he is hungry and speak to you when he is eating. 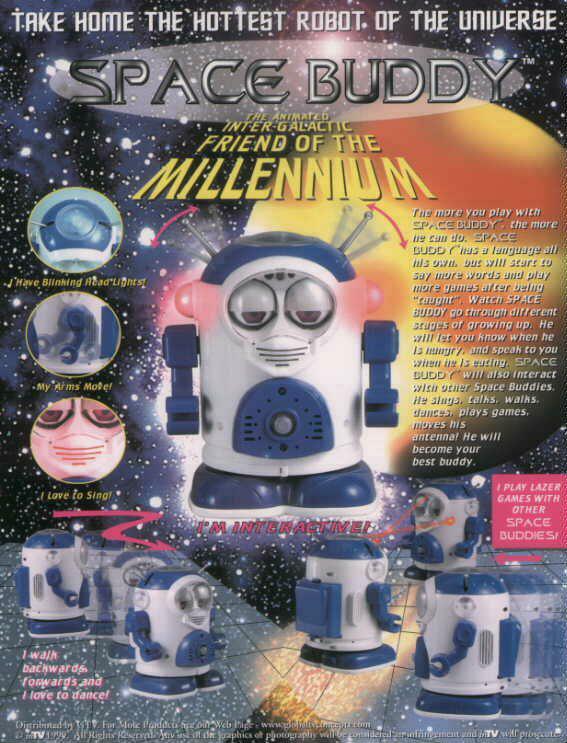 Space buddy toy robot sings, talks, walks, dances, plays games, moves his antenna. He will become your best buddy. I walk backwards, forwards and I love to dance. Space Buddy text, images and video are copyright.